Common developmental delays in twins can make it seem like your twins aren’t progressing as you’d expect or when compared to siblings or peers. Many parents of twins worry about developmental delays in twins. As a parent, I always want to know if my kids are on track. Why? Perhaps it is because I am an engineer at heart and want to measure everything. You will notice that your twins are different from the very beginning. Even in utero they are different sizes and show different behaviors, and this continues after they’re born. Your twins are going to be different sizes, different shapes, and have very different individual needs. Since twins tend to be born early, it is common for them to have developmental delays since they just didn’t have enough time to fully develop in the womb. 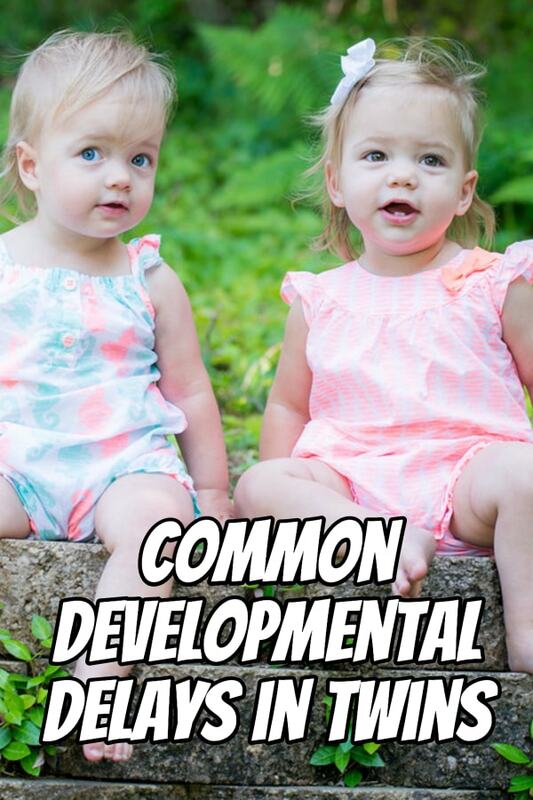 Depending on when your twins were born, their development will vary. For example, if your twins are born prematurely as compared to the average 36 to 38 weeks of the twin pregnancy, they may have more complications. 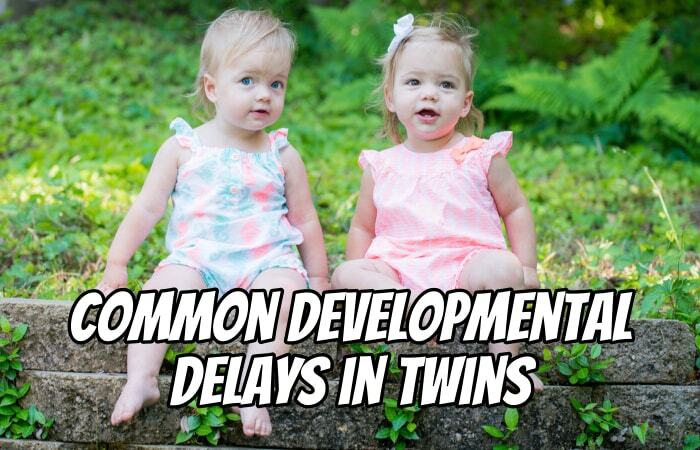 According to TwinsUK, there are several common developmental delays in twins. These include physical development, speech, social, and cognitive abilities. Don’t worry too much about the twins’ developmental delays. They will work themselves out over time. But if you are going past what you feel are standard milestone dates and your twins are not progressing, you should definitely talk with your doctor. Your twins’ ability to speak and understand your language is key to their developmental growth. 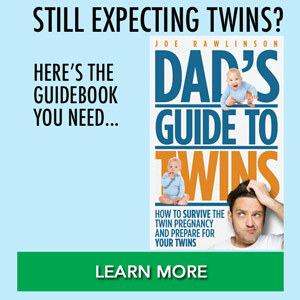 Do twins develop language more slowly? 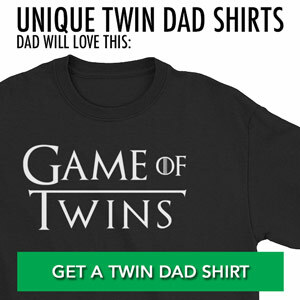 According to research, speech delay in twins is more likely to happen than to their peers. However, they do tend to catch up by age four. Speech development is something that you can foster in the home. Work individually with twins on their skills, read to them daily and encourage them to try new words and sounds. Physical abilities can be grouped into two classes: gross motor skills and fine motor skills. 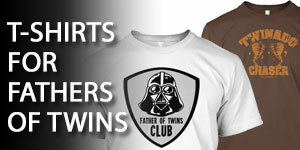 Your twins may demonstrate delays in either of these areas. Gross motor skills involve large movements of your body like walking, crawling, rolling over, etc. Since your twins may be behind here, it is important to help and encourage them to move and exercise their muscles to help develop their gross motor skills. Fine motor skills are those used for small, more precise movements. This includes things like picking up small objects, turning the pages of a book, and other hand-eye coordination tasks. Intellectual development involves the mental processes that help your twins solve problems. This could be learning to explore the world around them as infants. As they grow it becomes the ability to learn cause and effect, or solving a puzzle. 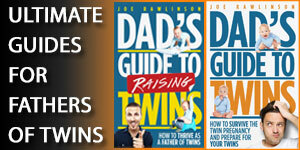 Your twins are going to reach milestones at different times as they continue to grow. These differences are natural and should be expected. You may very well have one twin developmentally delayed while the other is progressing at a faster pace. Your twins will start talking at different times, walking at different times, crawling at different times, sleeping through the night, growing teeth, losing teeth, etc. All of these milestones are going to come at different times. 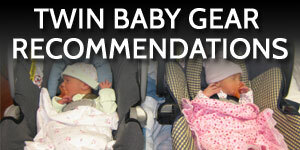 If you see or are worried about any of these delays in your twins, talk with their pediatrician. Since twins are typically born early, you may hear about them having an “adjusted age” that accounts for their premature delivery. The adjusted age of your twins can help you reset expectations on when certain milestones should be hit. Early intervention services can also help your young twins (18 months-3 years) overcome the delays they are experiencing. These services are available in most locations to children who have been diagnosed with a delay or disability. Here’s a great overview of early intervention and what it could offer for your family. Occupational therapy is another option for helping your twins develop their cognitive, physical, sensory, and motor skills. While kids don’t have an occupation in the traditional sense, they are typically playing and being active as children. Occupational therapy for kids can help them fully participate in the activities of childhood. No matter which common developmental delays in twins you experience, be patient with your children. Most delays can be overcome with time and effort. Work with them. Encourage them. Support them through their growth and struggles. Love them. Your twins will each come with their own set of trials. Your job as a parent is to help guide and direct them through those. If you’ve had developmental delays in your twins, let us know in the comments section below so we can all learn from your experience. Our twin boys are experiencing speech delays. They are now 22 months old and neither of them are really saying any words yet. They do a fair amount of babbling and can make specific sounds (i.e. ya, ma, ba) on cue but do not refer to us as mama or dada yet or name any other familiar items. They understand a lot but simply do not vocalize yet. @Jason – we introduced baby signs with our kids to help bridge that gap of time from when they could understand and when they could verbally communicate with us. Check out Baby Signs by Linda Acredolo and Susan Goodwyn. Our 21 month old twin boys have had some minor delays. They were 6 weeks early. In Iowa, the State Government provides a service called Early Access – it’s a program that tracks Preemies up to 3 years of age, if the parents want it. It’s completely free to the family. We love this service. We’ve had the same case worker since the beginning, and our boys love her. Whenever we’ve had issues with development, they give us ideas and resources. Fine Motor Skills – they both kept their hands in fists for a long time. We used the plastic links to get them used to opening and closing their hands. Also, they wouldn’t use their thumbs. Our Access case worker brought in an Occupational Therapist to work with us and them. When they didn’t progress, we put the boys in Neoprene Splints to force their thumbs to be straight and not tucked into their hands. Gross Motor Skills – Twin A had very low muscle tone. He was laid-back to the point of needing assistance. Twin B had a very high muscle tone, so he was constantly trying to do things before he was ready. We worked with both, and now have 2 running, jumping, and flying boys. Speech – Right now we are focusing on Speech. Both boys babble to each other and mimic songs, but not with actual words. They both say “Hi Daddy!” to everyone. Other words heard are: Go, Bye, Kris. They made sounds that sound like sentence syntax, but little to no words. There are no “M”s in their vocabulary. The “oooo” and “eow” for Cows and Cats. So, with the Access Speech Therapist now involved, we’re working on surprise words, repetition, and convincing their 7 yr old brother to not talk for them. Oh! and they understand almost everything. Names, places, directions, questions… they’re almost as frustrated as we are that we can’t understand them. @Erin – Thanks for sharing what’s happening with your twins. I’m glad to hear they are making progress and for the help you’ve gotten there in Iowa. As I mentioned for Jason, check out the “Baby Signs” book for some tips on communicating with them. Our son is 25mo and has been in speech therapy for 6 months, it’s helping but he’s just not as verbal as his sister who is talking sentences. We did hand signals and that does help overall. I suspect he will be fine in a year or two. But still glad we’re in speech therapy. Oh i forgot to mention my daughter is great verbally, but still struggles opening a door, which my son has been able to do for a year? So they bothink have strengths and weaknesses. 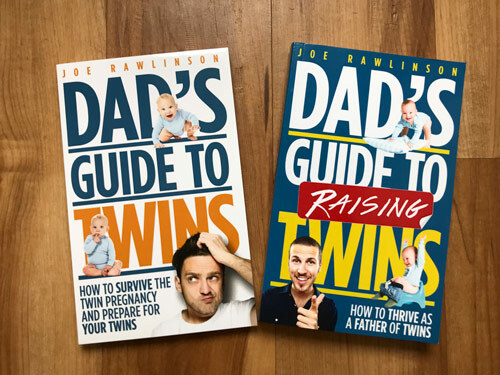 @Dave – thanks for sharing the experience with your twins and the reminder that each child is different and may struggle with his or her own challenges. I have twin boys and they are now 32 months old. One boy has caught up and on track with most milestones while the other is just starting to repeat some words we say. He doesn’t respond to his name very often and doesn’t identify objects yet. He doesn’t call me daddy or my wife mommy. Worried he may be to far being. He has theropy 3 days a week to help get back on pace but progress is very slow. Any ideas to help speed up the learning curve? @Ty – try practicing little things with your son to reinforce the proper way to speak and respond. Be patient. Talk to the therapist so you’re on the same page of what skills you should be doing at home to practice what was done in therapy. My twins girls are 10 months old. Bianca and Vera. Vera makes extraordinary eye contact and responds to her name. However, Bianca doesn’t look at us as much nor respond to her amen. We brought this to our pediatrician and she said they’re way to young to even attempt to diagnose them with autism. They’ also are showing no signs of autism to her at all. My question is, has anyone ever experience d this? Thank you for your time. I appreciate the post. @Sham – thanks for highlighting these Autism signs. My twin boys are two years old. They weren’t premature but one is not talking yet and his brother says new words every day. He babbles but no words. We had his hearing tested and he can hear fine. He is in an early intervention program and gets speech therapy every week. We were afraid he may be autistic, but they say he isn’t showing signs of autism. He has come a long way, thanks to speech therapy. You can tell he is on the verge of saying Daddy or Mama, but still not there yet. Hopefully he’ll be speaking within the next year. @Lamar – it sounds like he is making progress. I hope the therapy continues to help and he continues to improve each day. My girls are 14 months and have yet to say a word. I lucked up on this website, so I feel a little better that it’s more common than I thought. We will still let the doctor know so that we can track it. Also does anyone have a unusually clumsy twin? 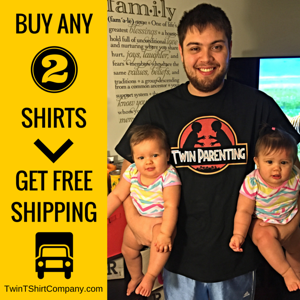 One twin is great on her feet but the other trips and bumps into everything. She walked into door frames when the door is wide open. She gets a new bruise every month. @Shenorah – we haven’t had an unusually clumsy twin but our girls do tend to take turns injuring themselves. Good luck with your girls. @Pooja – Thanks for sharing your twins’ experience and progress. I hope the OT continues to help them improve.